Hearing the reports and interviews about the San Francisco plane crash brought back a long lost memory. I had just turned 21 when I joined the nuclear submarine HMS Revenge. I was one of two petty officers responsible for all the sonar systems on board. The other dude, Mark, was a year or two older than me. As you can probably imagine, sonar systems are pretty important to a submarine so it was a big responsibility. But no one on a sub has just one job. I had four. My main watch-keeping position was OPSO. If you have ever seen a movie of a submarine in action – wait!…. here’s one!… – you may have noticed that there are five key roles in the control room of a sub and one more further back in the engine room. This is a recruitment film deviously crafted to tempt disaffected but smart young men to run away from home and become engineers in the Royal Navy [they got me! – ed]. 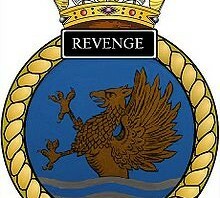 Skip to 17:10 to see a submarine that may very well be HMS Revenge. Fun fact: The sub on the inside is different from the one on the outside! The officer of the watch (OOW) is in charge of the whole boat, looks through the periscope and makes all the tactical decisions. The other four folks report to the OOW. The after-planesman steers the boat — “Come right, steer one-seven-four, sir!” — and keeps depth, a responsibility he shares with The Panel watch-keeper — “open main vents, sir!” — who continually monitors the submarine’s trim, opening and closing valves to keep the boat level. Back aft, the stokers take care of the main engines and generators and, of course, the nuclear reactor. Last, and very definitely not least, there is OPSO. Me. When a sub is underwater — which is most of the time — it is almost completely blind. That thing you hear in movies with the Ping! Blip! of the sonar every 10 seconds does not actually happen. Soviet submarines used active sonar but NATO boats didn’t so if you hear a sonar ping in the middle of the North Atlantic, it’s probably from a Russian boat or a surface ship. The only way to know what was out there was to listen very carefully. Most of the listening was done by 16 year old boys with headphones and they would report everything they heard: carpenter fish, snapping shrimp, and underwater pigs mostly. If there was another ship, they’d guess at their speed from the sound of its propellers “Large merch. Bearing zero-eight-five. Speed 4 knots.”. We had no range information at all. We could guess the distance of a ship based on how much its bearing changed but even that was of no use if the ship was coming straight at us. If a ship had cut its engines, we wouldn’t even know it was there. OPSO’s job (my job) was to keep track of all the targets reported by the sonar department — including all the whales and dolphins and fishing boats that would start their engines, motor for ten minutes then cut their engines — and recommend a safe course to the OOW. Oh! 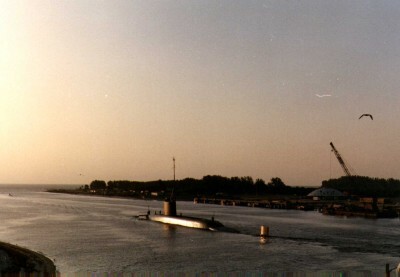 And — this was at the height of the cold war remember – report possible enemy submarines. On a bad day, there might be dozens of fishing boats, several large merchant vessels and a Russian Spy Ship to keep track of. While OPSO was my Job #2 and took up most of my working hours, Job #3 was the most glamorous. 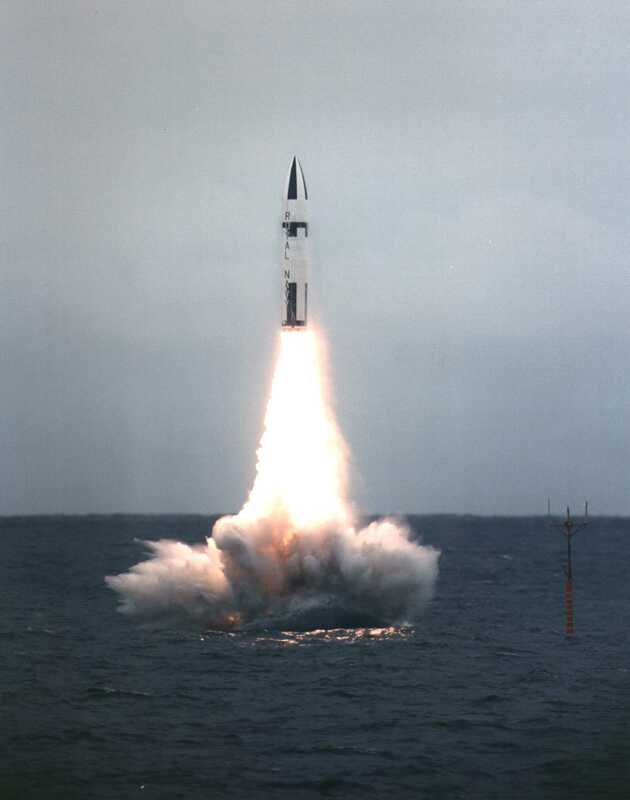 When a ballistic missile submarine is called upon to fire its weapons of armageddon, the missile launch makes a lot of noise, instantly announcing the submarine’s presence to every enemy submarine for hundreds of miles. Its role changes instantly from dealer of destruction to recipient of it and the boat needs to defend itself to survive. My Job #3 was to kill those other submarines with torpedoes before they killed us. Lots of video game practice helped hone my torpedo-guiding skills. If Job #3 was most glamorous, Job #4 was the most terrifying as I was in the attack squad of the firefighting team. Fires happen surprisingly often on ships and submarines and they are quite dangerous, what with all the hydraulics and the fuel and the explosives everywhere. We’d be called out to fight a fire at least once a week. Maybe once a month it’d be a proper, big, scary fire. One big difference between a surface ship and a submarine is that, on a ship, when there is a fire, only the designated fire-fighting team reacts to it. Everyone else just carries on eating their dinner or cleaning the bathrooms or whatever. On a submarine, fires are a much bigger deal and the whole crew joins in the fun of fighting the fire. There are two main teams in the larger fire-fighting team. One team dresses up in fearnought suits — big woolly suits that keep you toasty warm even when you are not walking into a fire — ready to do the main work of fighting the fire with the main hose and a waterwall. The attack team just grabs a flimsy little mask and a fire extinguisher and runs into the blaze while the main team is suiting up. I remember my first big, super-scary fire in an auxiliary machinery room (AMR) filled with diesel generators. We had already had several smaller fires since I joined the boat, but they were little affairs and extinguished quickly. After the excitement of the “Fire! Fire! Fire!” on the Tannoy and the scrambling to grab a mask and get to the fire first, there was always a kind of anti-climax when the first dude on the scene was able to put out the fire straight away. This one was different though and it was clearly going to be a big deal. At the Fire! Fire! Fire! alarm, I ran as usual to grab my mask from the pile but, as I reached for the very last mask and steeled myself for the battle ahead, a burly stoker PO named Mitch, 15 years my senior, put his hand on the same mask. He looked me in the eye and said “I think you’d better let me have that, son”. I didn’t argue and he ran into the burning AMR leaving me mask-less and safely away from the flames. No one died that day and the fire was extinguished without too much drama but, ever since then, I have had a healthy respect for people who run into burning buildings for a living. That memory came back to me this morning when I read the interviews of the first responders to the plane crash at San Francisco Airport over the weekend. Firefighters said they encountered smoke, leaking jet fuel and passengers coming down on chutes when they arrived. 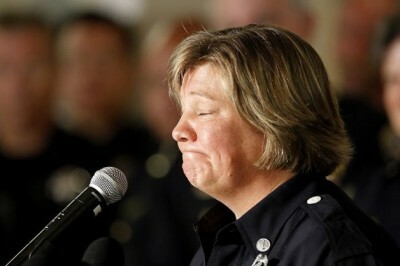 Lt. Christine Emmons said Monday at the news conference that she and her partner ran up a chute into the plane and found four passengers trapped in the back. The conditions in the plane were changing rapidly, with the fire coming down on rescuers and the smoke thickening as the trapped passengers were pulled out to safety, she said. Lt. Dave Monteverdi, who had also run up the chute, said someone had to be extricated after one of the bulkheads fell on top of him. 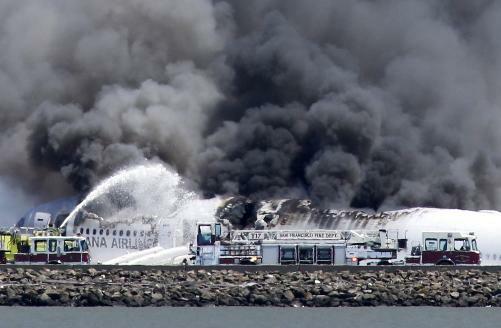 When the firefighters entered the plane, they were surprised to find San Francisco police Officer Jim Cunningham already there, not wearing any protective equipment. Several of the public safety officers who spoke gave him a special shout-out for heroism. Police Lt. Gaetano Caltagirone also entered the plane, following Cunningham. “I couldn’t let him go inside the plane and just be there by himself,” he said. People who fight fires for a living are amazing but I have a special regard for whose who, like flight attendants Lee Yoon-hye and Kim Ji-yeon have firefighting as job #4 – after handing out ginger ale, picking up your trash and getting unruly passengers to please turn off their electronic equipment now. One flight attendant, Kim Ji-yeon, 30, put a scared and injured elementary schoolboy on her back and slid down a slide, said Lee, in the first comments by a crew member since the crash of the Boeing 777. 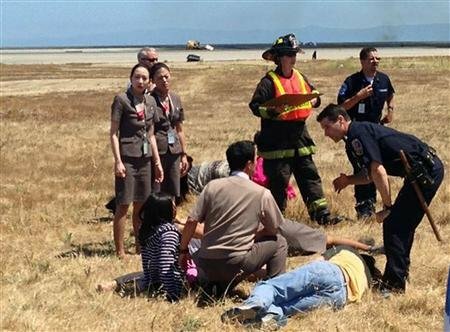 A pilot helped another injured flight attendant off the plane after the passengers escaped. Brave people, firefighters. Especially when they are flight attendants too.